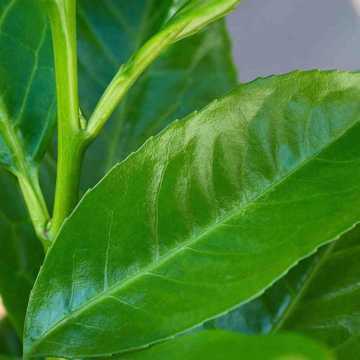 Laurel Etna laurel hedging plant can be cut back twice yearly to lengthen the period that you can enjoy the warm orange foliage, which contrasts well against the deep green older leaves, or alternatively because it is a slower grower than the frequently seen Cherry Laurel (or Common Laurel) it can also be trimmed just once a year but will still look smart for a long period. 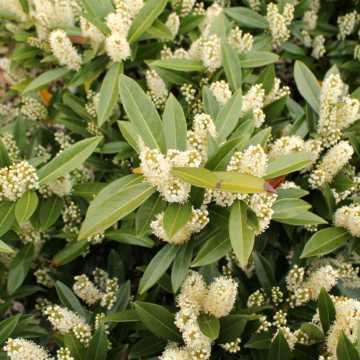 In Spring, spikes of scented, creamy-white flowers appear and in Autumn this evergreen is scattered in glossy, black berries. 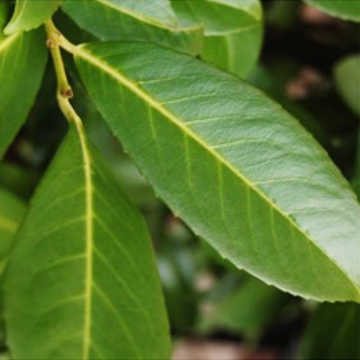 Prunus lauroceraus Etna will grow to 2.5 metres if left un-pruned but is very easily kept at 1 - 2.5m so that makes it fantastic for smaller gardens where some other evergreen species would get too bulky. 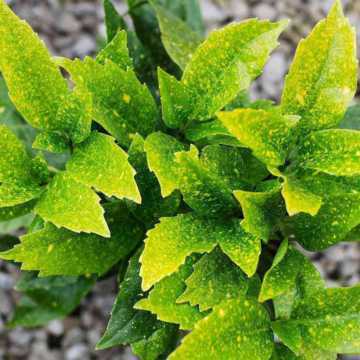 This evergreen laurel makes an ideal hedging plant as it has a very dense growth habit (a brilliant choice where density is a particular consideration) and is perfect for all sorts of tricky situations such as shade, coastal sites and northern positions.  Pruned, this hedging plant makes a beautiful formal hedge and left to its own devices a great bushy barrier, whether required for a formal or informal setting this is a hedging plant that offers year round interest and colour. Like other Laurel varieties (other than Bay Laurel), the leaves and berries are harmful if eaten. 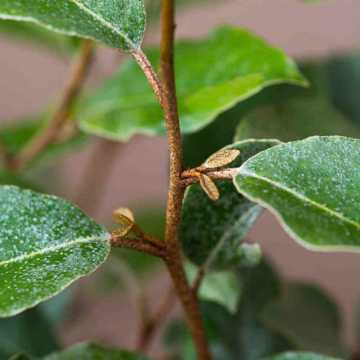 Laurel Etna is a popular variety of Laurel hedging, but we do also have the following additional varieties - Cherry Laurel, Portuguese Laurel, Spotted Laurel, Compact Laurel, Laurel Caucasica and Bay Laurel. 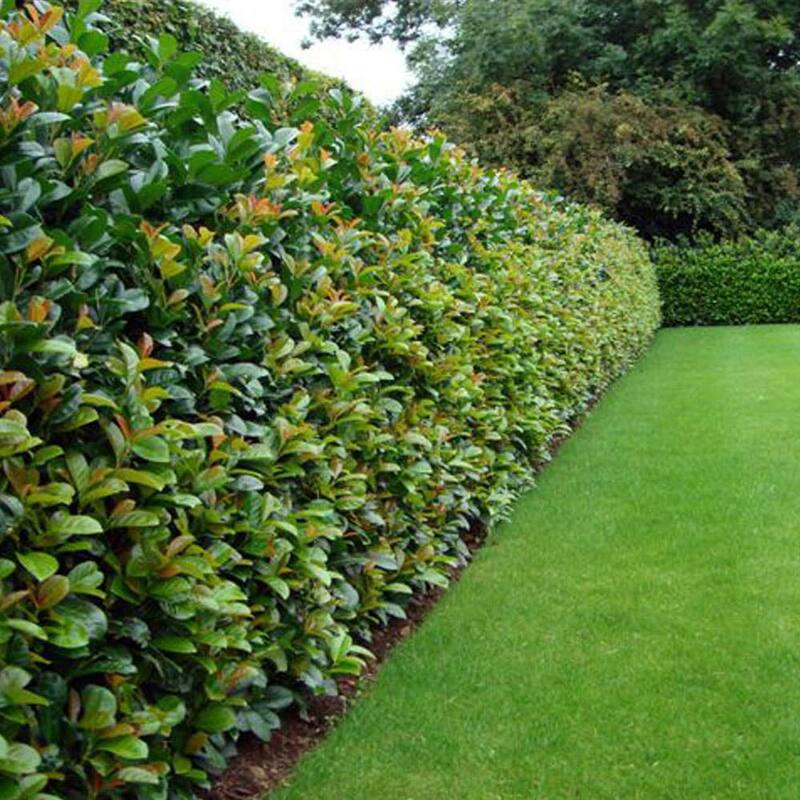 Get all the information you need on these species with our ultimate guide to Laurel hedge plants for more information. 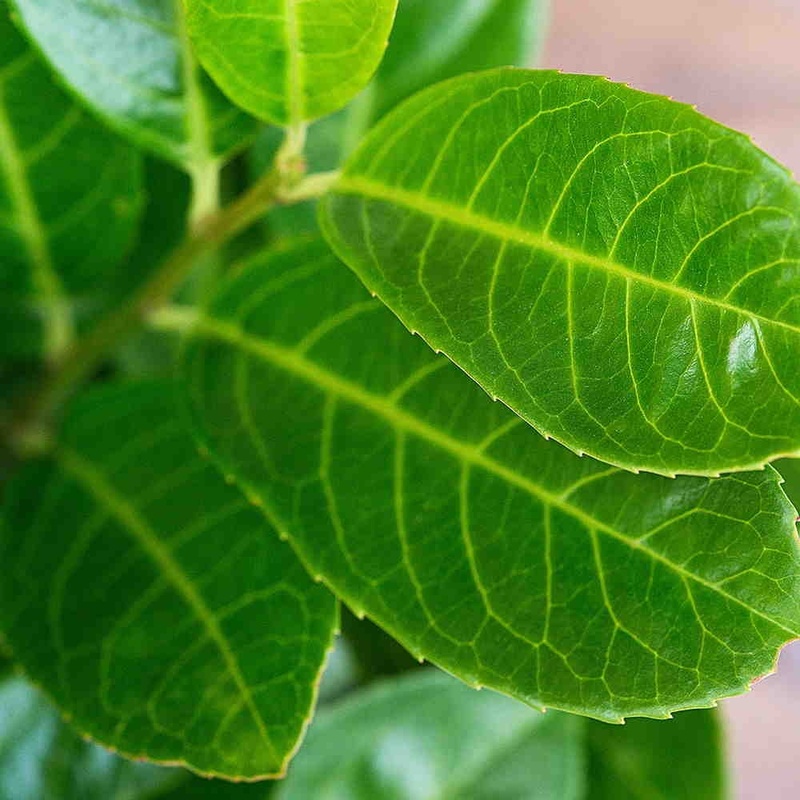 Pot grown plants are available all year round. Root balls are available from late October to mid April. 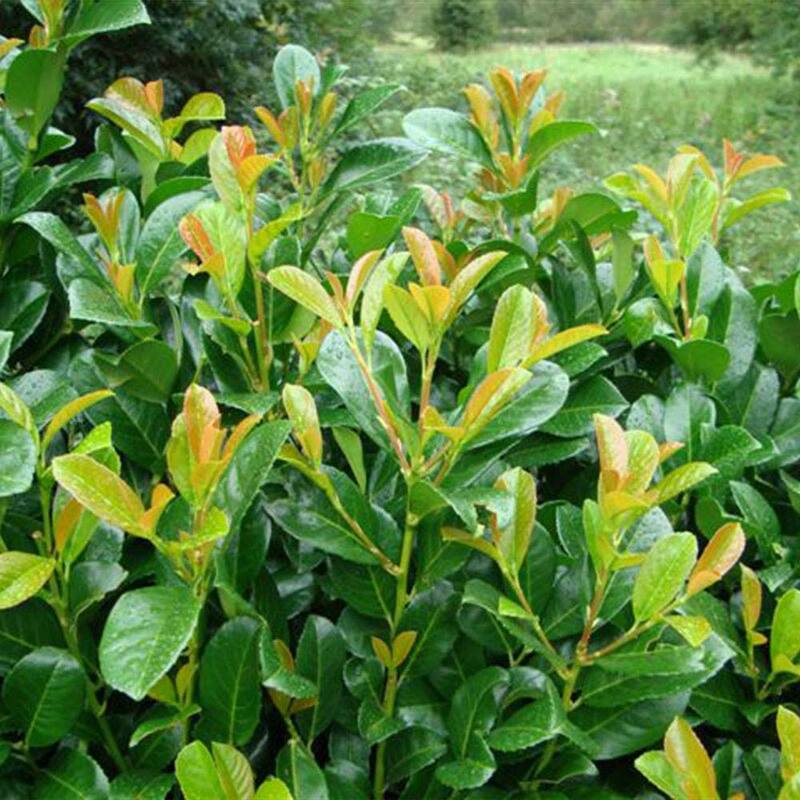 Laurel Etna will benefit from pruning around mid March, although you may also want to tidy it up in late Autumn.